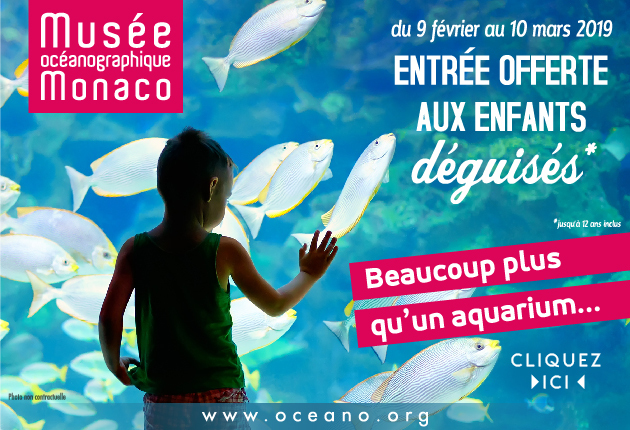 From February 9th to March 10th: free entrance for children wearing costumes! On the program: feeding sharks, meeting with turtles, learning to draw in the manner of a naturalist and many other activities. Internships from February 11 to 15 or from February 18 to 22 for 8-12 year olds.